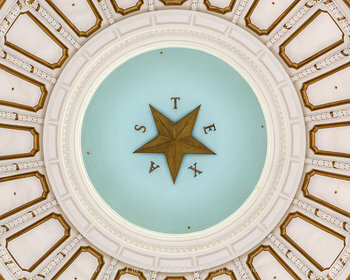 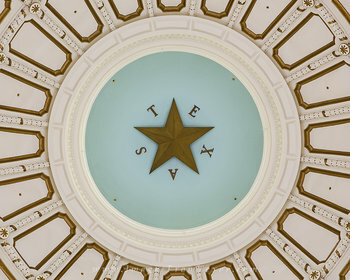 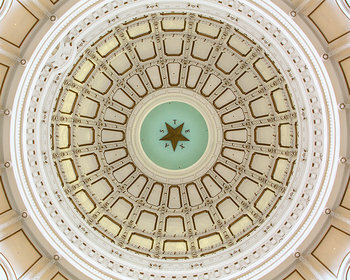 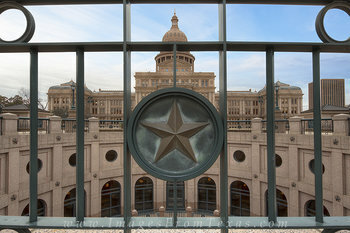 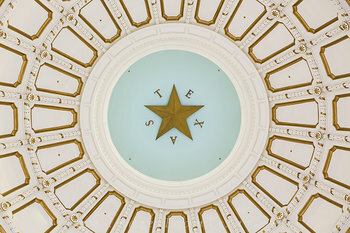 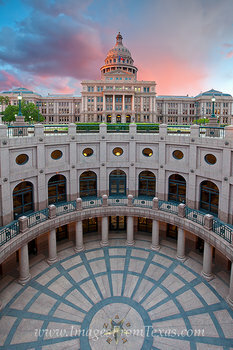 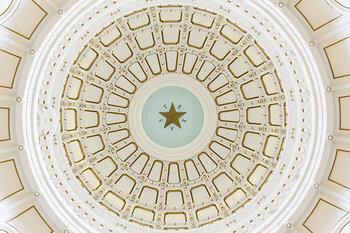 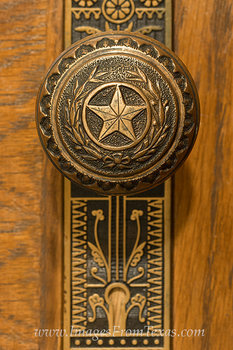 The Texas State Capitol is recognized as a National Historic Landmark. 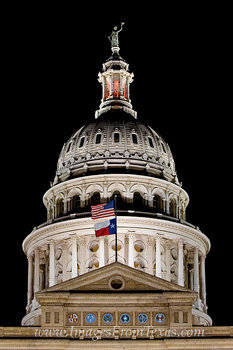 It is 308 feet tall and is the second tallest capitol in the United States. 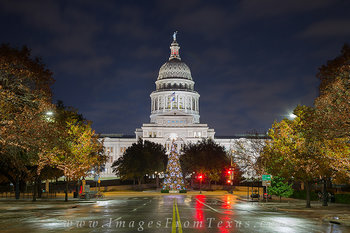 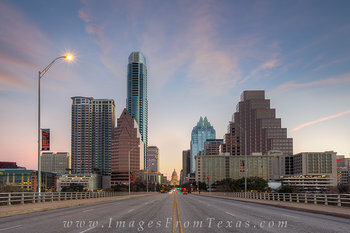 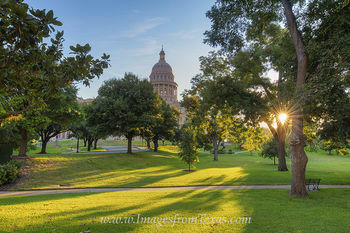 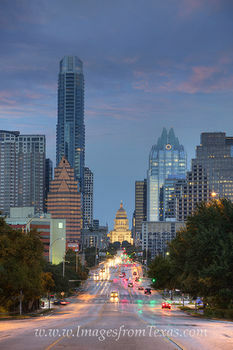 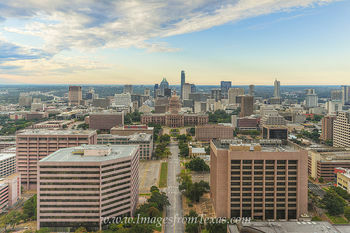 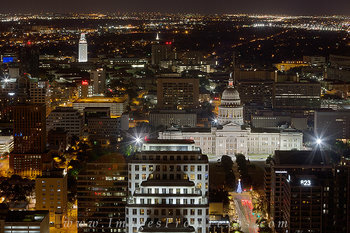 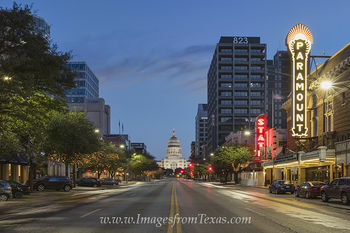 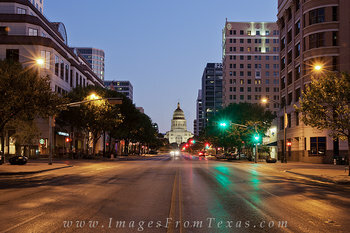 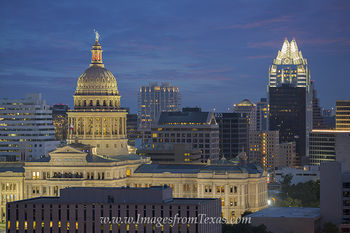 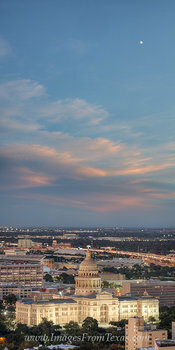 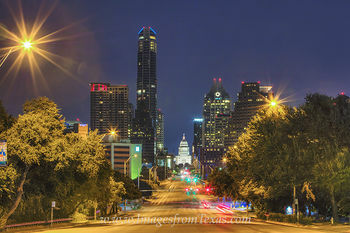 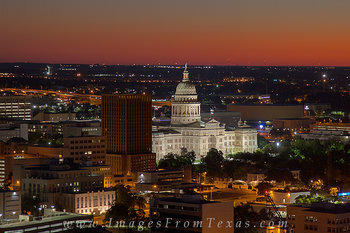 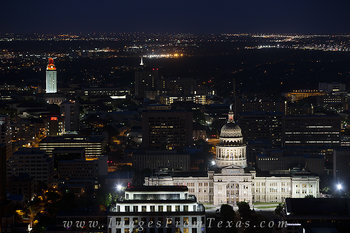 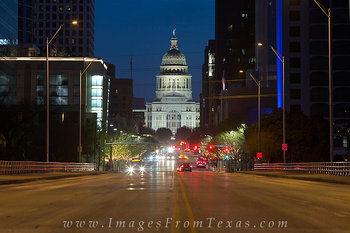 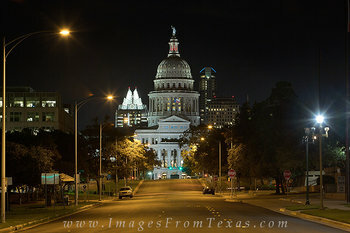 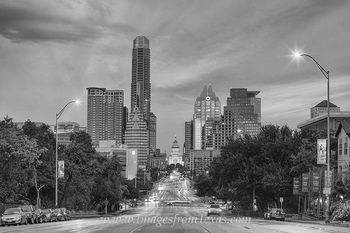 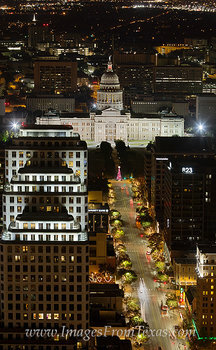 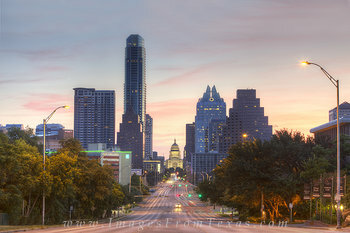 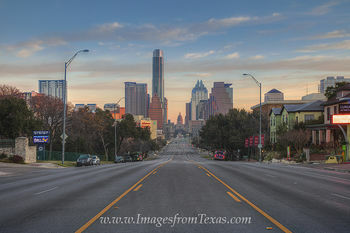 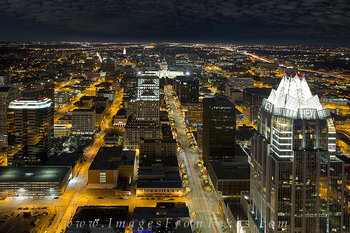 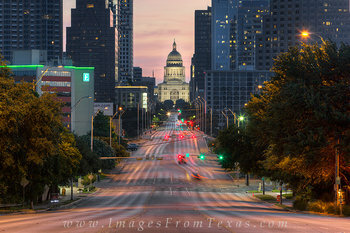 The photos and panoramas in this gallery attempt to show this Austin, Texas, icon in different heights, different lights and at different angles, and each image is may be purchased for licensing or as a print. 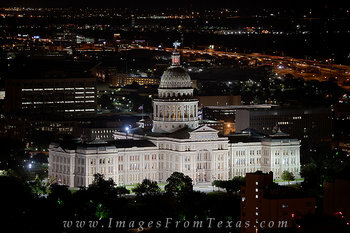 The capitol building took six years to complete and was opened in 1888. 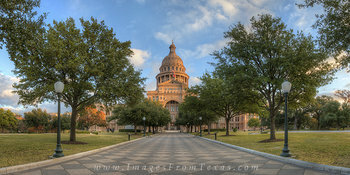 It is made of Oak Hill limestone hidden behind red granite. 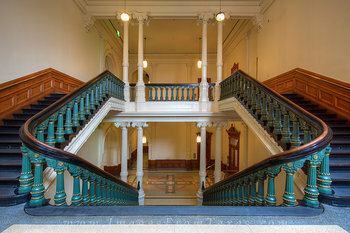 The building itself covers 2.25 acres and sits on the grounds of over 20 acres. 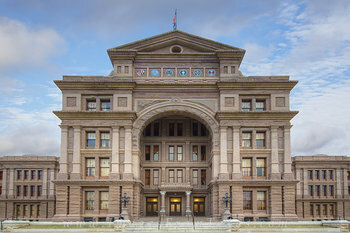 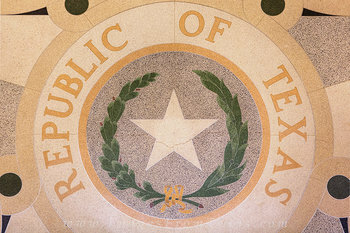 Within its walls are a mural of the Battle of San Jacinto, portraits of each person who has governed Texas, nearly 400 rooms and over 2,000 windows. 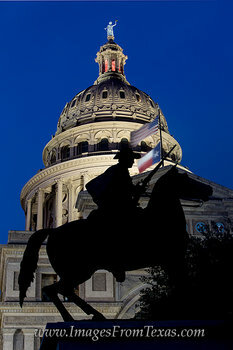 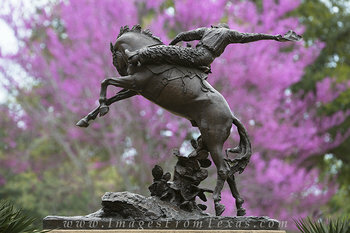 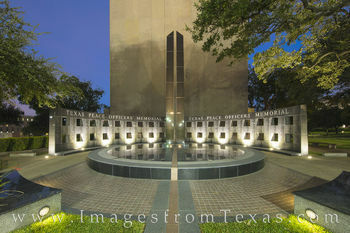 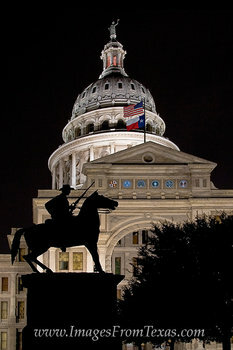 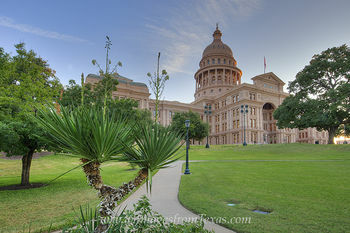 Monuments fill the fertile grounds of the capitol and commemorate important people and events such as Texas Rangers, Heroes of the Alamo, Confederate Soldiers, and Volunteer Firemen. 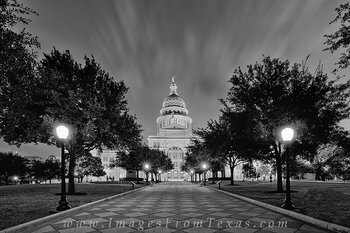 These stone statues line the “Great Walk,” a dark and light diamond pattern on a sidewalk leading from Congress Avenue to the capitol’s front steps. This tree-lined walkway pattern also allows for some great photograph, especially for black and white conversions. 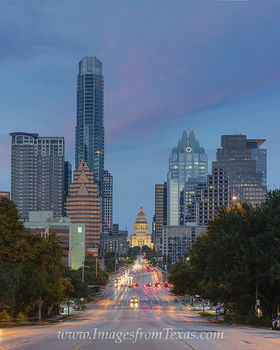 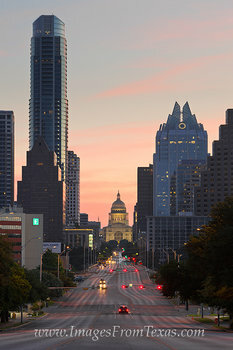 As an important part of the Austin skyline, the state capitol is afforded this distinction: preserving the view of this landmark is the Capitol View Corridor, a restriction that disallows buildings to be constructed that would block the sightlines to the capitol. 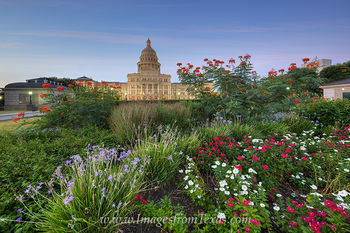 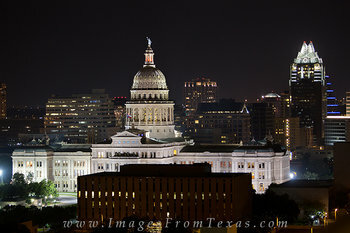 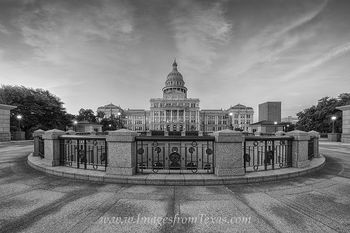 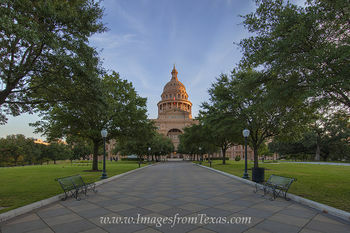 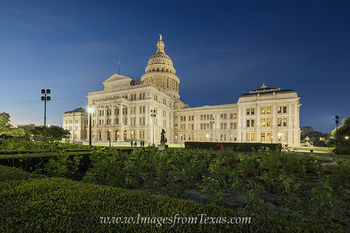 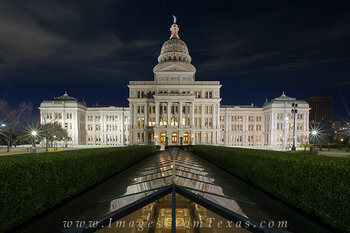 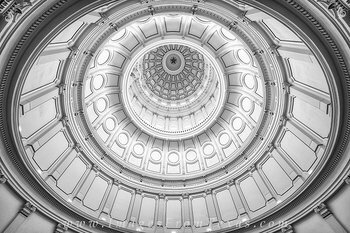 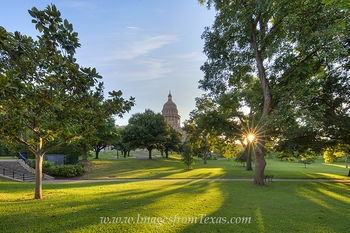 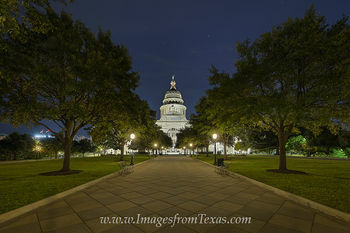 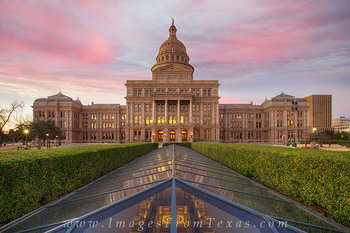 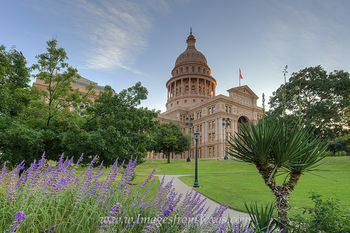 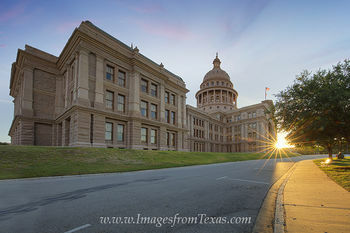 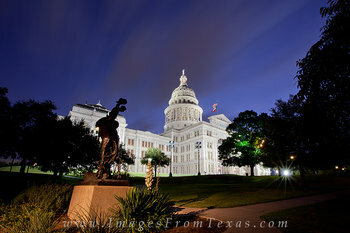 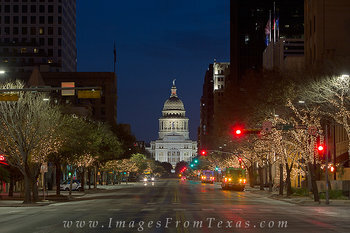 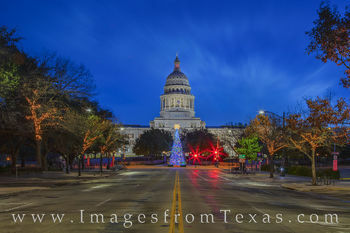 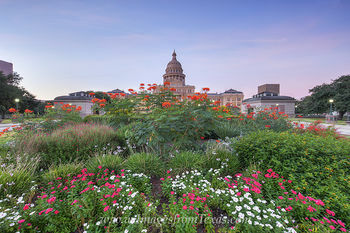 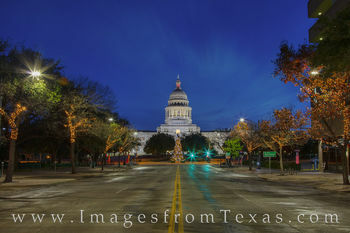 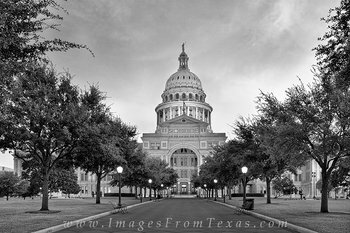 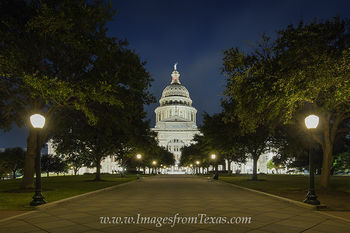 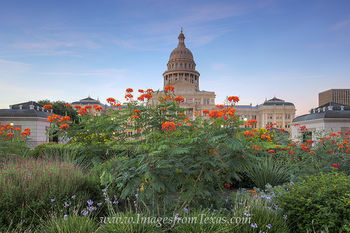 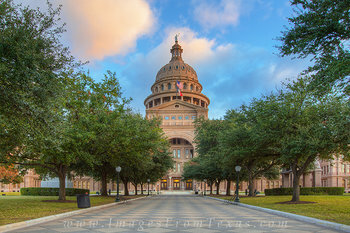 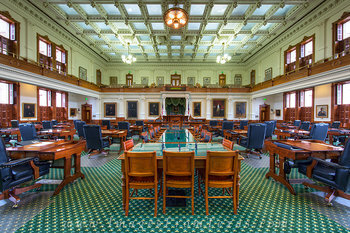 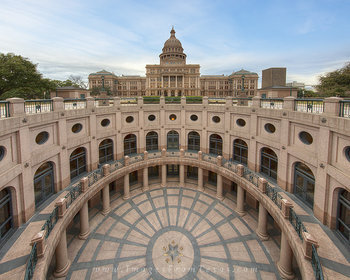 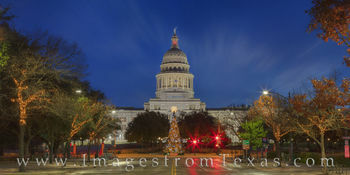 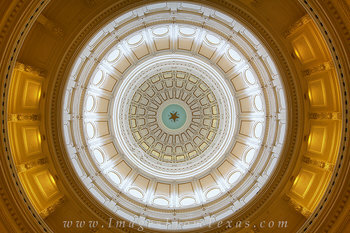 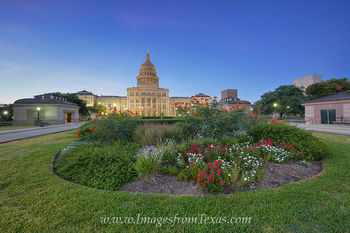 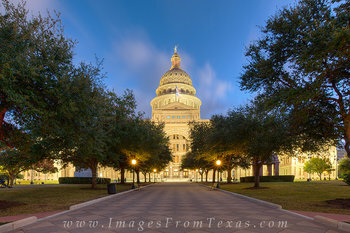 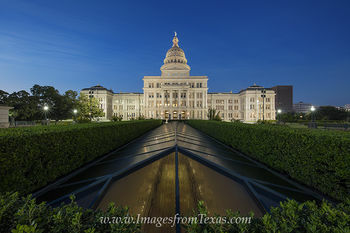 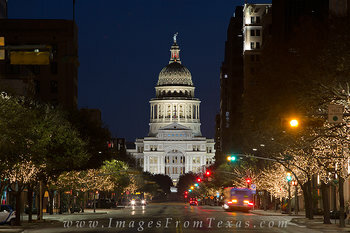 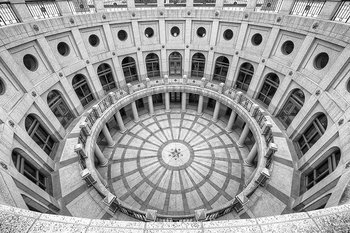 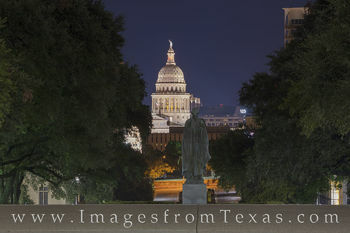 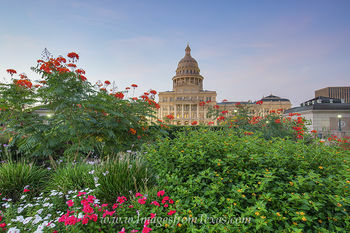 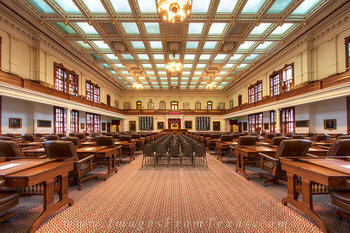 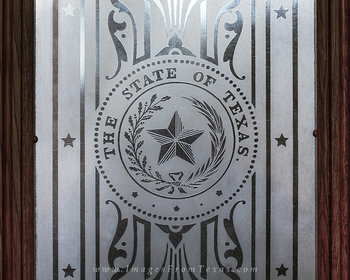 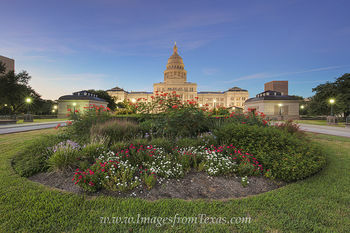 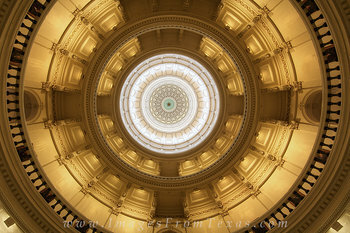 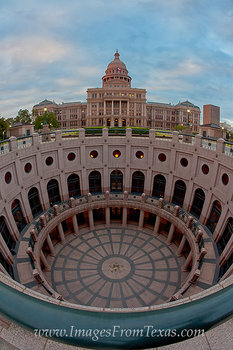 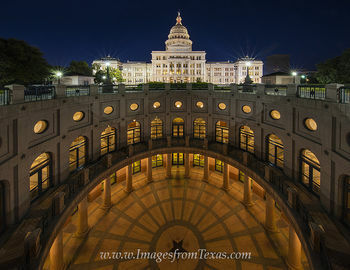 If you have any questions about these photographs of the Texas state capitol in Austin, please do not hesitate to contact me.